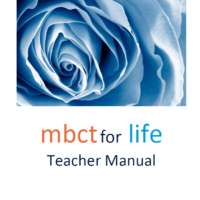 MBCT for Life [MBCT-L] is intended as a universal taught face-to-face programme, applicable to the general population. As a recent adaptation of Mindfulness-Based Cognitive Therapy for Depression [Teasdale, Segal, & Williams, 2013), MBCT-L offers mindfulness practices and cognitive-behavioural techniques in ways that are intended to be accessible to all. It guides participants in how to apply this learning in everyday life both to manage what is painful and difficult but also to cultivate qualities such as compassion and equanimity. It offers a different way of living that supports people to work with challenges, including recurring patterns of thought and behaviour that create suffering, but also to savour life and to flourish. Following the model of MBCT-D, with 2-hour classes and about 40 minutes of ‘formal’ home practice per day, MBCT-L is an in-depth programme intended to cultivate lasting and sustainable change. MBCT-L is designed for community settings, where people can come to participate in the programme over 8 weekly sessions as well as a full day of mindfulness practice, which normally takes place between sessions 6 & 7. There is an accompanying app and website for participants that provide home practices during the course as well as ‘deepening’ practices for participants to use after the course has been completed. We developed and have been evaluating the curriculum as part of the Wellcome Trust funded MYRIAD project (Kuyken et al., 2017) and anticipate that a randomised trial evaluating the MBCT for Life curriculum with health service staff compared with wait-list control will publish in late 2018 / early 2019 (Strauss et al., 2018). It is being taught by MBCT teachers internationally with some very affirming feedback. For example, “I absolutely love MBCT for Life. It provides such a supportive, reassuring and at the same times liberating framework to teach within.” Alistair Kelly, MBCT Teacher. 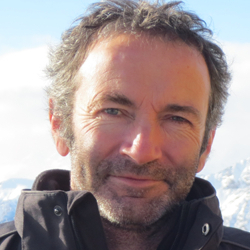 Paul Bernard is as a consultant psychiatrist in a large NHS Mental Health Trust in the North of England, where he leads an MBCT team that provides 8-week programmes for patients, carers and staff. Paul trained as an MBCT teacher in 2007 and, with mentorship from Professor Mark Williams, became a trainer and an OMC Associate in 2012. He is involved with MBCT teacher training locally, nationally and internationally. 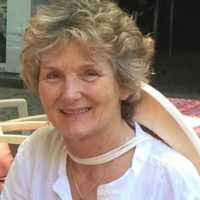 Alison Yiangou is an OMC teacher and trainer with over 40 years experience of working internationally with meditation and mindful awareness in non-clinical settings, with a particular interest in broadening access to MBCT and the potential of MBCT to promote flourishing and wellbeing. She also leads the OMC service for assessing teaching competency. This course is a partnership offering – please click here for more information and to book.